Fab 3 holes, i use the right hand bounce on the third if I'm on the right of the fairway, so well played. As promised, here's a Casuals Quick 3 of Rotorua - 2'47" - Featuring a rather 'fortunate' approach on three. 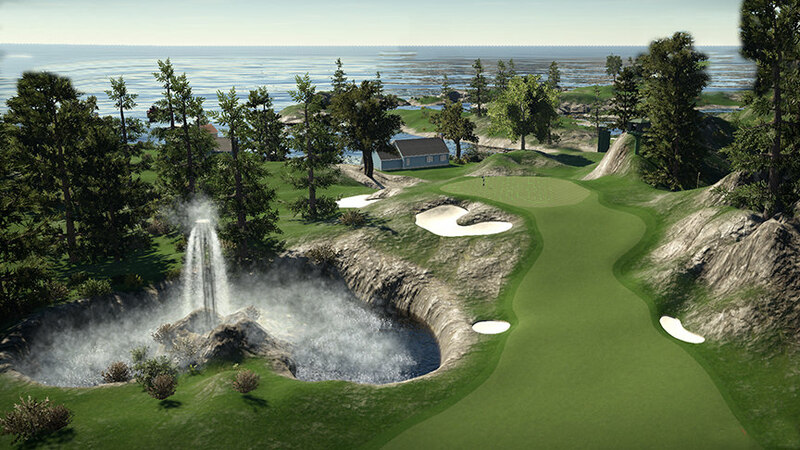 We'll be going here and 'Cook' in Season V.
Putt on one was satisfying with it's two way breaks. Then I rode my luck somewhat! Just to clarify, the videos are to showcase underplayed lovely courses - and not my golf! I've been informed that for the first time in a long time, my course Rotorua has been rejected by tgc tours, are they all going soft over there. We cant all make courses where you knock it up the middle and knock it on the green where your met with lightning fast greens and the ball runs back off the green if you miss the hole by a yard. I've make most of my courses fairly easy to score on, but as a designer you have to make courses that have degrees of difficulty, I'm not the best player and I scored seven under and missed a further couple of birdies so I think it plays fair but I concede some may struggle if you put the ball in the wrong place. How do you mean rejected? They've not denied your submission have they? Not sure I understand how they do things as it says my latest course is 'on tour' which is news to me! Keep designing for yourself mate, best way. Thank you for submitting your course, Rotorua Golf Course, to TGC Tours. While we appreciate you showing interest in having your course as a part of our database, we have regretfully decided to "Not Approve" it for not meeting the standard we require before approving a course. While a non-approval can be based on any number of large issues, courses are usually marked as non-approved if there is a significant culmination of smaller ones, such as overly constricted landing areas, poor bunkering, extreme elevation changes, or unplayable, heavily sloping greens. 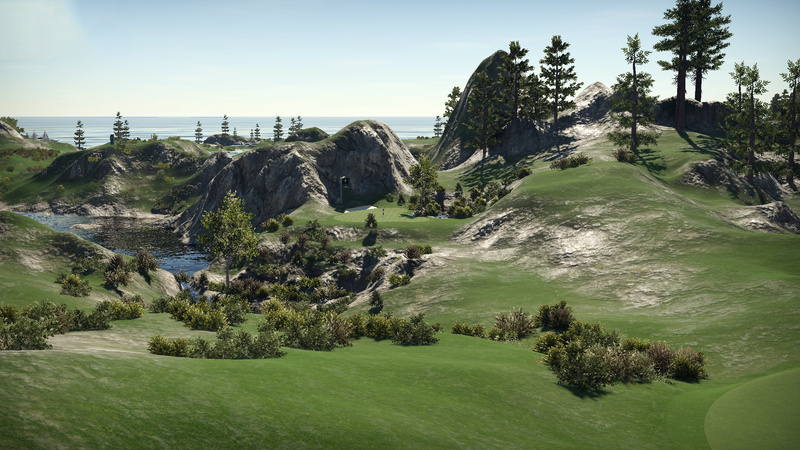 Additionally, courses will virtually always be mark non-approved if they feature auto-generated fairways, rough, greens, and bunkers. Do not give up, though! Just because your course was not approved does not mean that you do not have what it takes to be a great designer. This is especially true if the course you submitted was one of your first four or five courses; it took the best designers in the game a while to get their feet under them too. Please note that those determining whether to approve or not approve courses for our database are members of the community, just like you. They are not staff members of tgctours.com apart from their role as a volunteer reviewer. 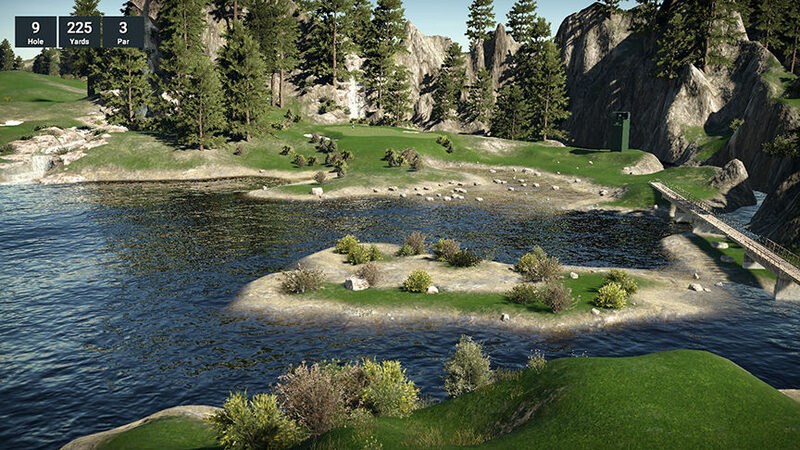 If you have questions about why your course was not approved, please contact CrazyCanuck or coruler2 by sending a private message in the TGC Tours forum and they will seek to provide you any feedback they can. We sincerely appreciate you taking the time to submit your course, and we look forward to your future designs. Well two weeks since I published Rotorua and unless the course scores aren’t being updated I’m still the only one under 70. I know I’ve played the course a hundred times whilst designing but I’m still not that good a player and I scored 11 under, a 61. I have to give Jimgem the credit for my improved scoring, watching his fab videos highlighting new and old designers has really knocked a few shots off my game. I normally play very aggressively and take on impossible shots but by watching how he course manages his round and will ignore the eagle opportunity to ensure a birdie has helped me no end. A few greens on Rotorua were deliberately made tougher but only a couple, most play normally, if the hole is a hundred yards or so long hitting a wedge to within 5 foot will do the trick. Having hit half a dozen scores around -6 or -7 I’m confident the course is fair, bend my ear if you feel differently. From time to time, I sink a putt.